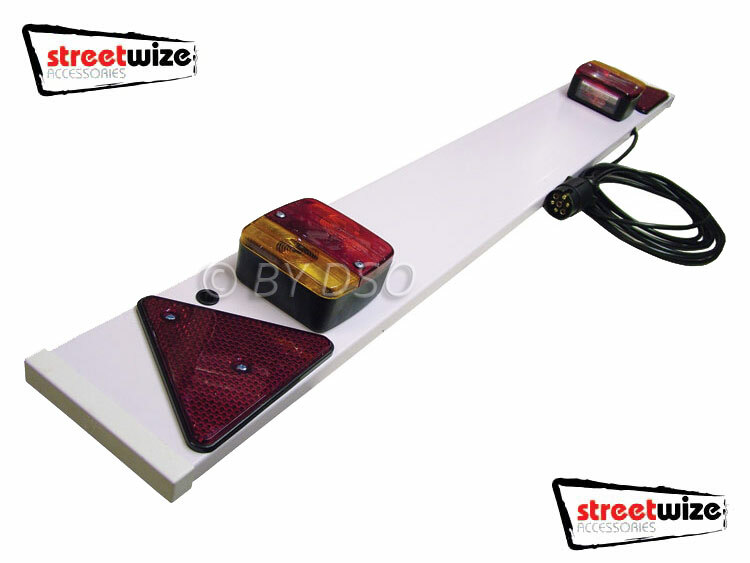 This 4 foot (48") lighting board is ideal for placing on the back of cycles and other bulky objects which cover the existing lights when towing or touring. The 2 light clusters each contain a brake light, an indicator light and a warning reflector triangle. The board also comes with a 5m extension cable and 7 pin plug. Try as you might, you couldn't find these parts and assemble this trailer lighting board at a cheaper price. Ideal for caravans, trailers, cars, vans and light commercials etc. Plug : 7 pin plug.